Not all cities require food to be prepared at a commissary. But as food truck regulations tighten nationally this has become an increasingly common requirement. In this article, we share advice for identifying the commercial kitchens in your area and how to negotiate the best terms for a lease. After all, it’s not uncommon to pay $1,000 per month to rent space at a commissary. Keeping your fixed costs low in this area can help achieve profitability faster. A location that the local health department has deemed to be an acceptable location to safely prepare food. 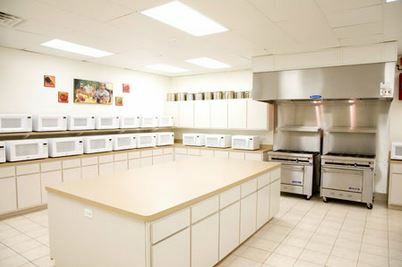 These spaces are often referred to as commercial kitchens and often include refrigerators, cooking / food prep areas, sinks to sanitize utensils, and waste disposal units. 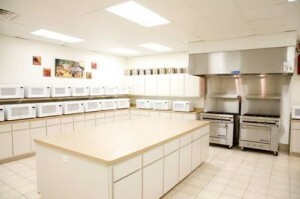 BayAreaKitchenRental.com – Commercial kitchen and food truck commissary centrally located in the Bay Area. U.S. Food Trucks – Popular commissary located in Dallas, Texas. La Raza Foods – Major food truck commissary serving the Los Angeles area. According to their website, they serve over 200 food trucks. They’ve got some heavy hitters that have worked with them as well including the Grilled Cheese Truck a previous guest on our podcast. Again, you will need to do some legwork to identify places that would be willing to rent out to you. But if you’re successful and can come to mutually agreed upon terms with the owner it can be a mutually beneficial proposition for both parties. Safety – You don’t want to operate your business in a sketchy part of town for the safety of both your employees and property. Make sure to check out the surrounding area to ensure it is well lit and in a safe neighborhood prior to signing any agreement. Parking – Some locations allow you park a truck or trailer overnight. If this is an option it can be a cost-savings opportunity since you won’t need to put as many miles on the truck each day and reduce fuel costs. Ask about it to see if it’s an option. Location – This is a big one that’s often over looked. If you need to drive 45 minutes from your home to a commissary each day, you’re going to be losing a lot of hours each month just on the commute. Amenities – Helpful amenities to a mobile food unit include electricity, waste disposal, oil disposal, water disposal, propane, food supplies, ice, refrigerators, dish washers, chemical storage and freezers. Networking – This is an overlooked one. But selection of a commissary can also have implications on who you know in the area. As a food trucker this is huge since relationships can result in more catering gigs and awareness of major events. Some commissaries can get you discounts on parking lots and host local events. It doesn’t hurt to ask about this stuff during the evaluation process. Pro Tip: Take a tour of the facilities at the time periods you plan to be using the commissary to gauge how much space is available during those hours. So if you plan to serve a lot of lunches, you’ll want to get to the commissary early around 6 a.m. – 7 a.m. to see what the place is like in that area. Some locations may try to cram in too many vendors for comfort making it difficult to get work done. 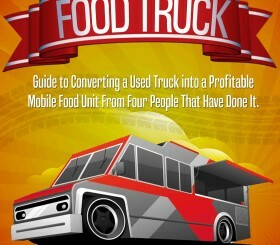 If you found this post helpful, you might also enjoy our exclusive food truck case study that follows along with the development of a mobile food business in real time.